This post is sponsored by SweeTango apples. Lately I’ve been feeling really sluggish by midday, and coffee isn’t really do much for me. This probably has something to do with the fact that I haven’t been sleeping well, and haven’t had any time to exercise. One of my friends told me that she likes to eat apples during the day, because they’re sweet enough to take care of her sugar cravings, but they also help give her more energy too. I love apples, so I thought I’d try adding a few apple-based snacks to my day. I’ve been noshing on Apple Crisp and adding chopped apple to my oatmeal, but I wanted to find a snack that didn’t require oats. That’s where these Apple Sandwich Snacks come in. I knew that this snack would be tasty with SweeTango apples, because they are a premium apple variety that combine the best qualities of sweet Honeycrisp and tangy Zestar! Apples. These apples have a distinctive crunch, and a burst of sweet juice with notes of citrus, honey, and spice, which is delicious when paired with almond butter, toasted almonds and shredded coconut. Head on over to SweeTango.com to get the recipe for these Apple Sandwich Snacks, and be sure to look for SweeTango apples in your grocery. While these apples are now in season, they won’t be around for long! The season ends when supplies run out, typically around mid-winter. This brand provides financial support that helps me to create new content for this blog. 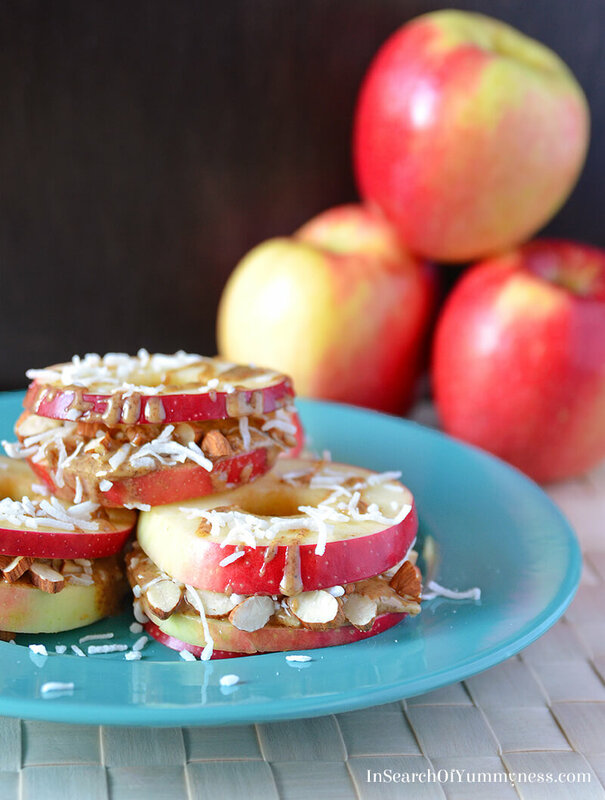 These apple sandwich snacks look so cute! I’ll have to try this for my kids, their favourite snack is sliced apples and peanut butter.